Over the last decade, a debate has been emerging on “Academia’s obsession with quantity” (Lawrence 2007; Fischer et al. 2012a) and the subsequent Impact Factor Race, an unhealthy game played by scientists (Cherubini 2008; Brischoux and Cook 2009). Despite being widely despised by the scientific community (but see Loyola et al. 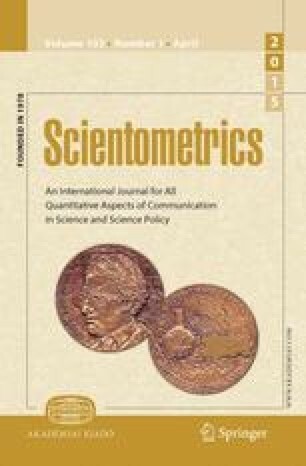 2012), the “publish or perish” dogma and the use of productivity indices (e.g., journal’s impact factor, number of published articles) to assess a researcher’s output seem to hold on, as suggested by the relatively frequent publications on this subject (e.g., Lawrence 2007; McDade et al. 2011; Fischer et al. 2012a; Kaushal and Jeschke 2014; Jacobs 2014 see also Carpenter et al. 2014). We thank the CNRS and Morgan Reynaud for providing the list of young recruits, and Lucy Runacre for improving the English. Aitkenhead, D. (2013). Peter Higgs: I wouldn’t be productive enough for today’s academic system. The Guardian. http://www.theguardian.com/science/2013/dec/06/peter-higgs-boson-academic-system.